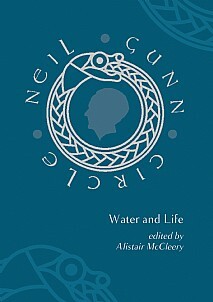 Water and Life pursues the goal of the previous volume, Nation and Nationalism, to bridge the often ivory-tower concerns of academic critics and the interest of a wider public in the works and thought of Neil Gunn, considered the foremost Scottish novelist of the twentieth century. The ‘circle’ in the title reflects its use within Gunn’s novels to symbolize both wholeness and the cyclical nature of life. It also represents the group of enthusiasts for Gunn’s work that ranges from the energetic volunteers who created and maintain the commemorative centre at Dunbeath in Caithness and those in the Dingwall-based Neil Gunn Trust who actively promote his work to the authors whose own writings owe much to his example and insights. The circle also embraces the scattered community of dedicated readers, within and outwith Scotland, that renews itself with each generation. Water and Life contains eloquent autobiographical pieces from two of those dedicated readers, Mike Vass and Victoria Bernie, who were inspired in their own work in other media. Mike Vass recounts how he read Gunn’s Off in a Boat while recovering from a serious illness and, when better, set out to recreate the voyage himself and then to write in song and music about his own experience. Victoria Bernie was moved by Highland River to record in photographs, reproduced in this volume in full colour, the changing nature of the Girnock Burn. Christopher Stokoe also recalls in his autobiographical account how an almost fortuitous encounter with The Serpent led to a lifetime’s devotion to the understanding and promotion of all Gunn’s writings. Jim Mather, the former Government Minister, begins also with water as a source of life and industry and, in asking the question of who should own this vital resource, outlines a vision, shared by Gunn, of a successful Scottish society built upon principles of community and cooperation. Alistair McCleery discusses this theme in relation to Gunn’s novel, The Green Isle of the Great Deep, and recounts the novelist’s promotion of individual freedom, collaboration and community as he articulated his opposition to the statist political thought of Naomi Mitchison. The story of Gunn’s relationship with another contemporary novelist, Maurice Walsh, is related by Dairmid Gunn, Neil’s nephew, to highlight the influence of both men upon one another as well as the continuing example of Ireland upon the development of Gunn’s political thought. This is further illustrated by the inclusion of two of Gunn’s essays within this volume. Water and Life offers fresh insights into Neil Gunn’s life and work to both readers already passionate and knowledgeable about his writings and those who are coming to him for the first time. The contributors write in an accessible and engaging manner, bringing their topics to life in a manner appropriate to the great novelist himself. Sure to be of huge interest to all those who appreciate good writing, students of Scottish literature and collectors of Neil M. Gunn’s work.